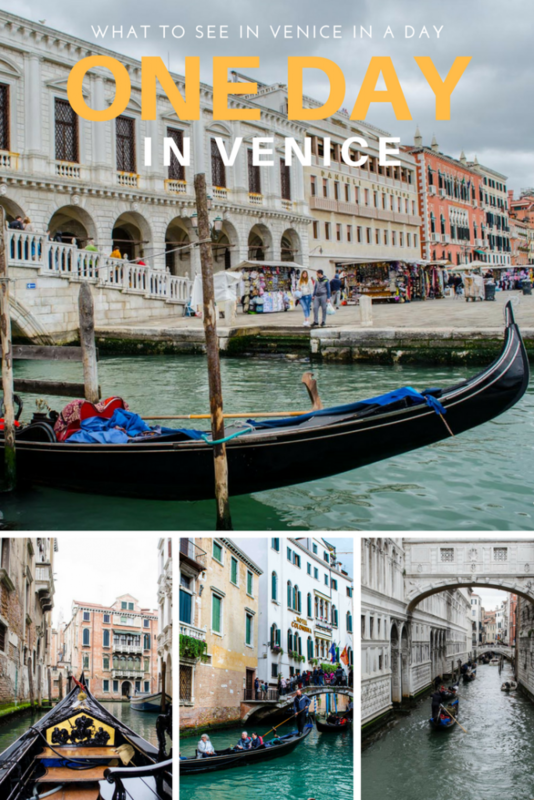 A city unlike no other with visual riches scattered to the right and left, with dreamlike attractions and an atmosphere of elegance and mysticism – Venice is a city that allows you to live in a fantasy world in a way you’ve never experienced before. 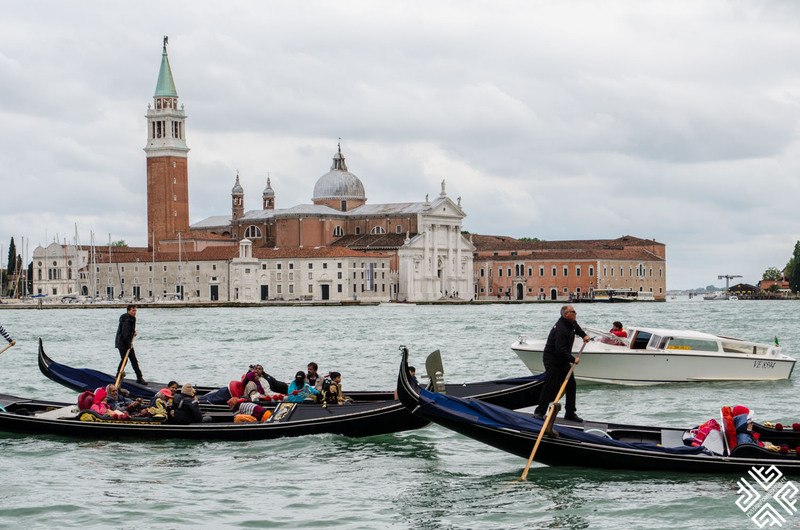 It’s one thing to see Venice in photos and videos, with pictures of its world-renowned gondolas floating seamlessly in its canals, and it’s another thing to experience it first-hand. 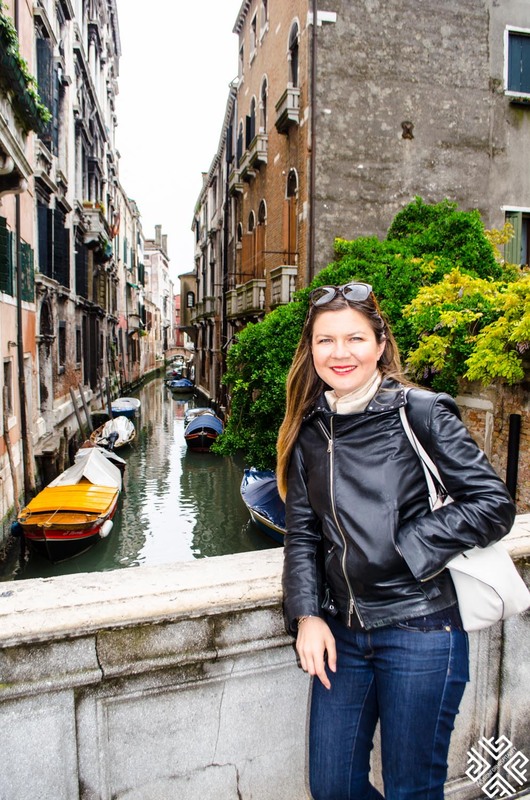 My trip to Venice was straight out of a fairytale, where I could revel in a spectacular natural setting dotted with marble palaces built on lagoons, hundreds of narrow alleys, untainted architecture and a blend of Roman, Byzantine, Ottoman and Italian influences. It shocks you at first – the existence of shimmering canals where streets should be, the complete lack of cars and buses, the rawness and history of it all, the years of culture reflected into every nook and cranny of the city – it was almost overwhelming, but worth every minute. 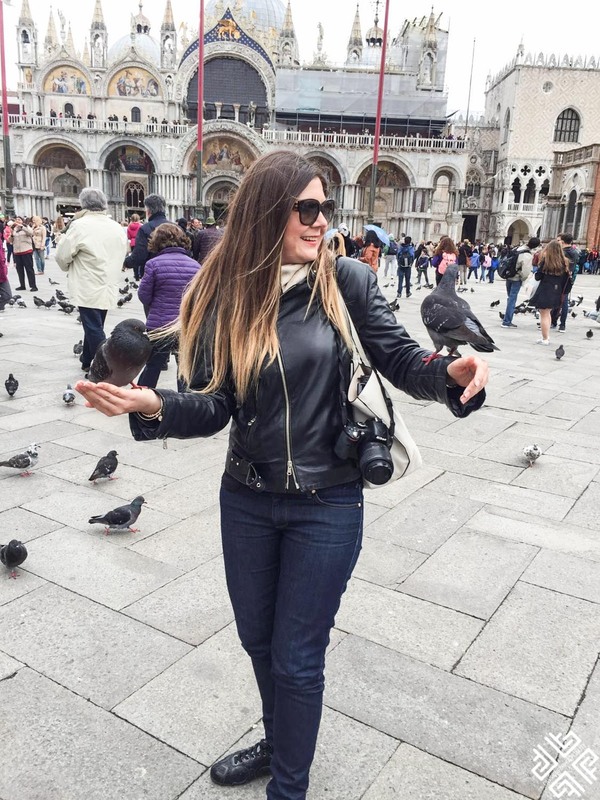 Venice is visibly tethered to its past, unscathed by the changes of history with over 141 churches, secret little squares, gothic palazzis, a labyrinth network of islands, and canals that snake their way through the entire city. Getting lost in Europe is always a treat, but getting lost in Venice’s quintessential streets while the music echoes from across the waters is something else where exotic-looking palaces rise from the sun-soaked canals and the glories of Venetian architecture surround your every move. Venice is small, compact and can be explored in one day – making it the perfect day trip from any other city in Italy. It’s 4 hours from Rome, 2 hours from Bologna, and 3 hours from Milan and you can book your tickets on Trenitalia. 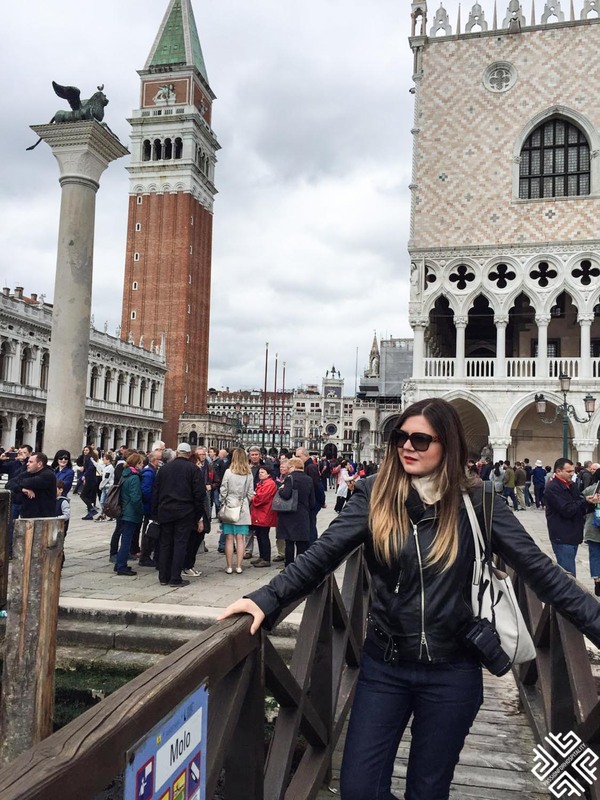 I advise you to take the early train, since the earlier you arrive to Venice, the better and you can take advantage of the entire day. 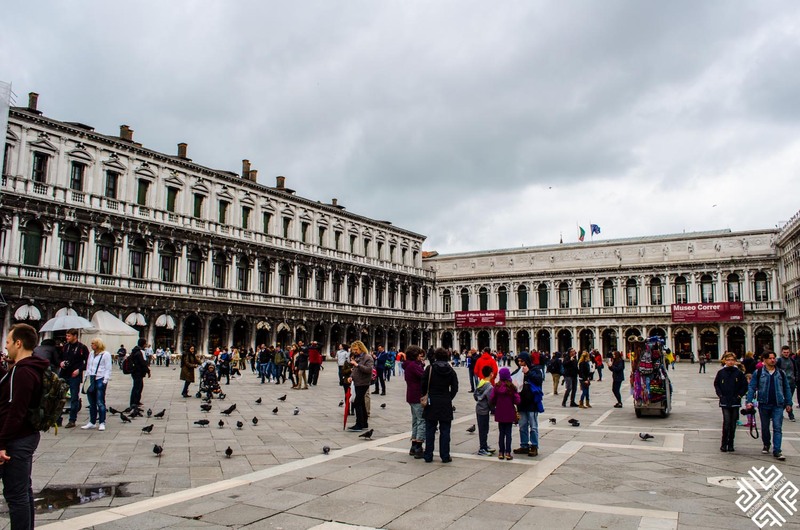 The Piazza San Marco is the pulsing commercial heart of Venice, and is one of Italy’s most iconic piazzas. 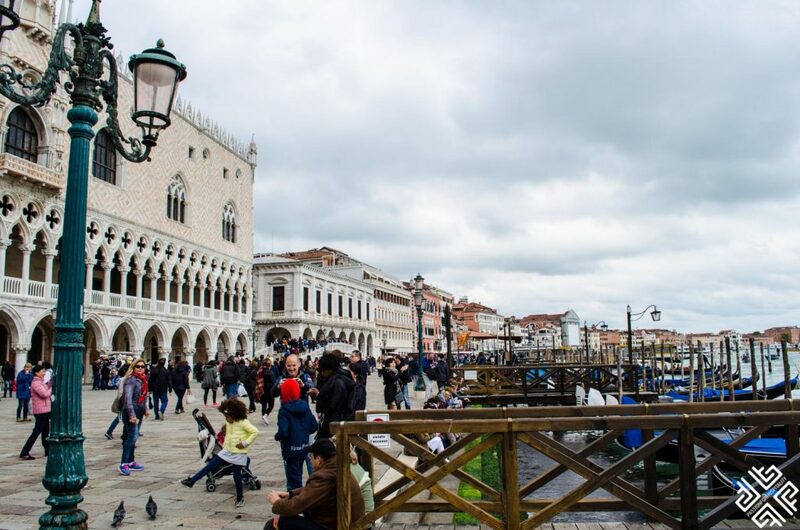 Dating back hundreds of years ago, the Piazza has always had life revolve around it; it has always been a center for all religious, intellectual and political activities and is Venice’s prime attractions. 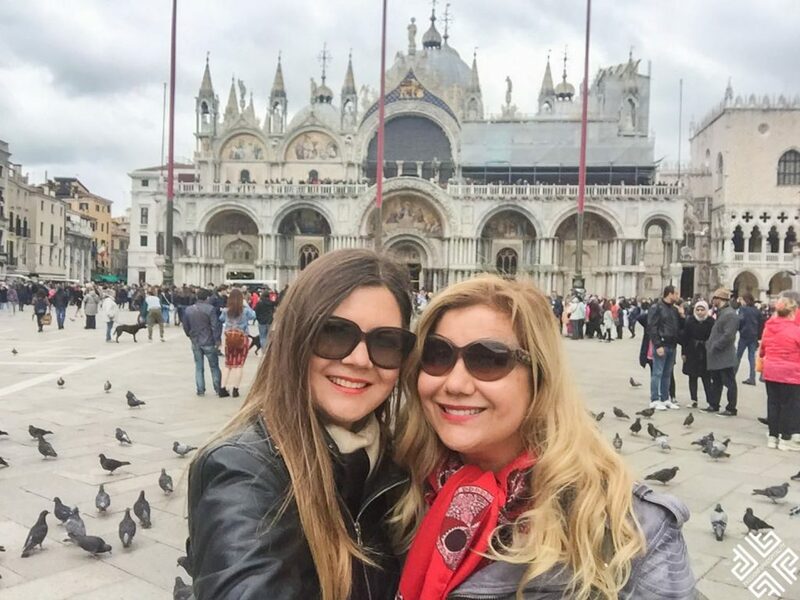 You can see life bursting through the plaza from every corner, with hoards of tourists, bustling markets, endless cafes, and historical attractions as well – you can admire the buildings, gawk at beautiful domes, and appreciate the Venetian atmosphere. It is no surprise that Napoleon called it the drawing room of Europe. This is the place where most large celebrations and festivals like the Carnavale take place, this is where history dates back to the year 800, and this is the same piazza that has survived the Renaissance and the Napoleonic Age and strives until today. Companile di San Marco – A tall brick tower that is connected to the basilica in the Piazza and towers majestically over the entire piazza. The tower was used in the 12th century to guide ships to Venice, and today you can take an elevator up to the platform at the top to enjoy the panoramic views of the piazza. Torre d’ell’Orologio – A building decorated by a clock and a winged lion that defines quintessential Venetian architecture. 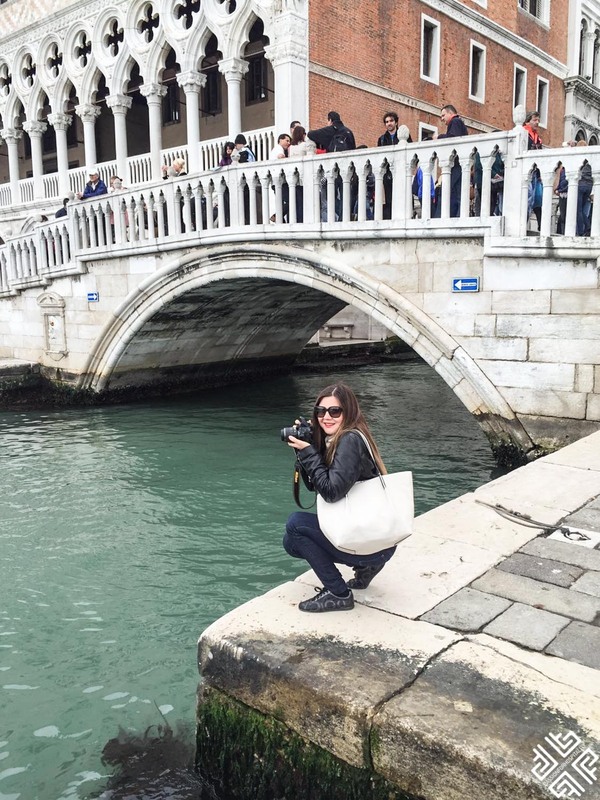 Ponte della Paglia – You’ll be met by four main bridges in Venice, and this is one of the most beautiful ones that offers views of the back of Doge’s palace and the Bridge of Sighs. Museo Correr – When the nobleman Tedodor Correro, a passionate art collector brought over a massive collection of artifacts to Venice, the Museo Correr was constructed. 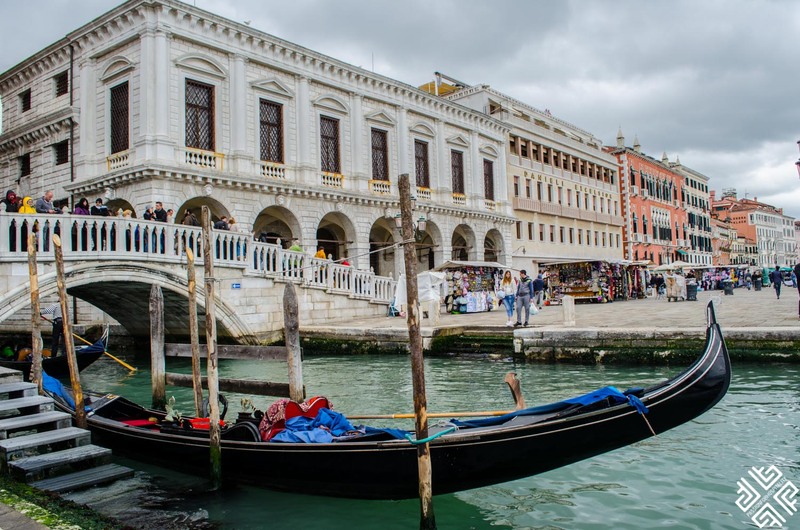 At the back of the Piazza, the museum (housed in a beautiful 18th century building) holds paintings that illustrate the history of Venice and shows the richness of the culture with paintings of the scenes and works by Lorenzo Veneziano, the Bellini brothers and Carpaccio. Museo del Risorgimento – A museum dedicated to illustrating Venice’s ongoing struggling against Austria, and the most important part is the Archaeological Museum which shows all types of archeological finds from the Renaissance time, classical time, the Byzantine era and even shows artifacts from the Egyptian time. Biblioteca Marciana – The library is considered one of the largest in Italy and houses a large diverse array of books. This classic church dating back thousands of years ago was a breath-taking sight to see. 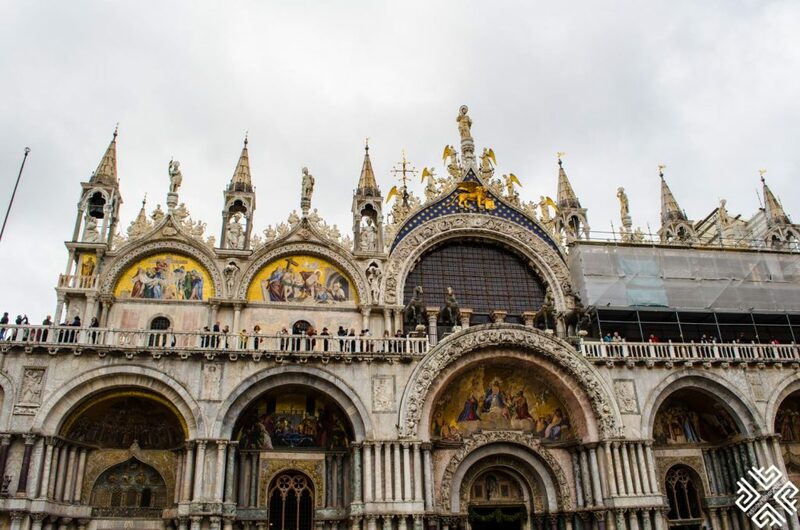 As I approached the gleaming basilica overlooking the Piazza San Marco, I could not help but notice the incredibly detailed exterior façade with sumptuous details, glass mosaics and beautiful domes. According to history, it is said that Venetian merchants stole the remains of Saint Mark from Alexandria and smuggled the relics to Venetia and you can see the entire story laid out and depicted in the mosaic above the door. It was an overload to my senses as I entered the basilica – imagine having to choose from mosaics, golden altars, beautiful chapels, a treasury, and so many intricate details in its interior. To me, the most important part of the Basilica was the mosaic that stretched for 4,240 square meters and was covered in glimmering gold juxtaposed with the inlaid marble floors. The sculptures and the entire interior design took my breath away and gave me an immediate feeling of being transported back to the Byzantine era. Just when I thought the basilica was not magical enough, I was met with hundreds of pigeons outside that you can feed and I was lucky enough to take a picture with a few, making me feel like I was coming straight out of a Disney movie. Right next to the basilica lies the Doge’s Palace, one of the most iconic and beautiful palaces in Europe. 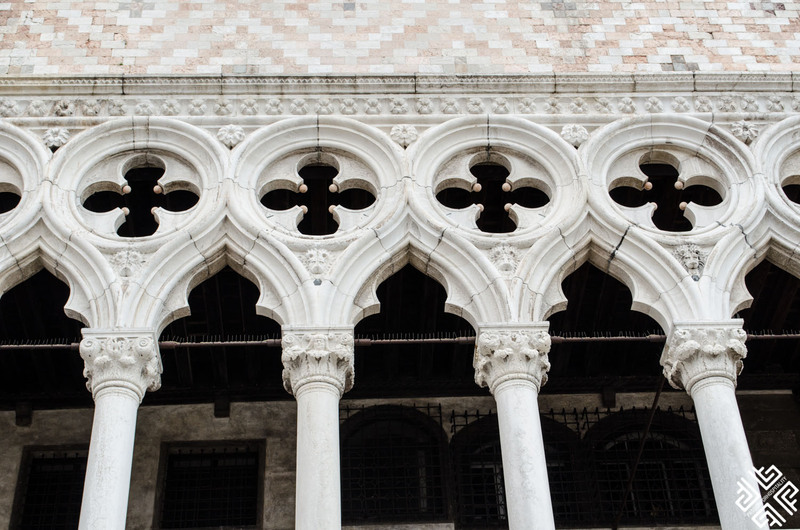 With an incredible Byzantine-style façade, the palace is currently a museum including thousands of paintings created specifically to decorate Doge’s Palace. I suggest you spend about 2 hours in the Palace to be able to explore everything and get a glimpse of all you need to see. 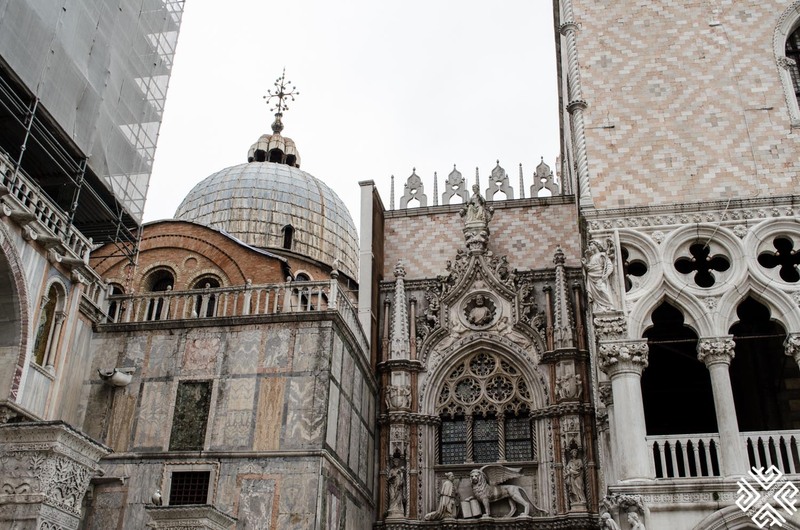 The exterior – the lacy patterns, the Gothic architecture, the arching windows, the enchanting spires and merlons all give the palace a mystical feel that blends perfectly with the Venetian enchanting power that looms over the city. Porta della carta – The main entrance of the palace itself is an important attraction of the castle, with carvings of figures like Doge Francesco, Foscari and endless symbolic artifacts and sculptures. Bridge of Sighs – If I could choose only one thing to do in Doge’s Palace, it would be going directly to the Bridge of Sighs. 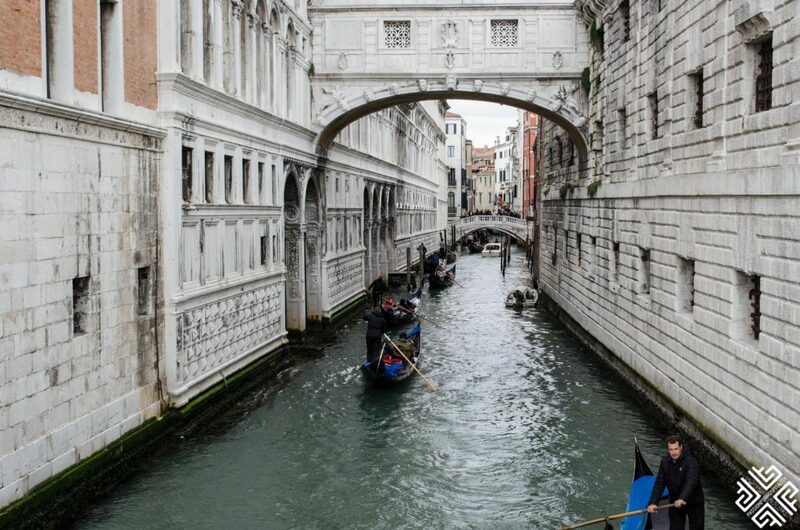 The Bridge of Sighs is a Venetian icon, gracefully carving its way through the buildings and connecting the Doge’s Palace with a prison. Sala del Maggior Consiglio – The Hall of the Great Council was built in 1340 and houses the world’s largest oil-paintings, along with a masterpiece on the ceilings and dozens of painted portraits of the Doges. 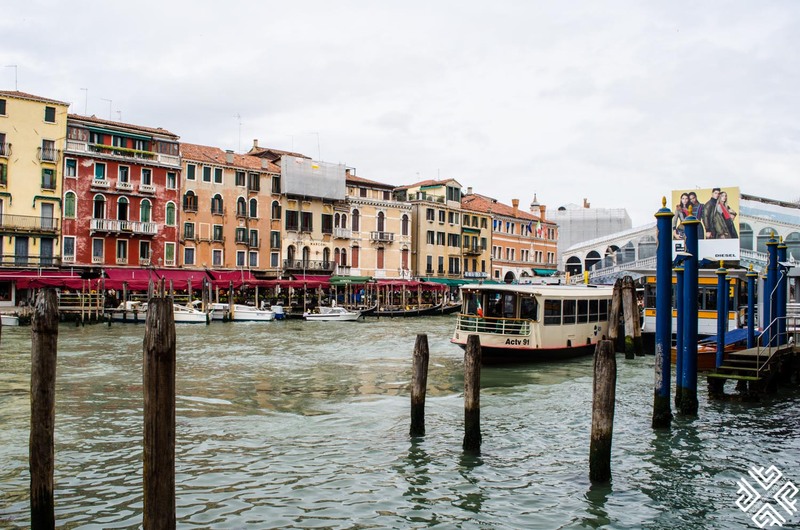 The arched Rialto Bridge is Venice’s most famous landmark and is jostled with tourists and locals alike, all snaking their way through the colorful stalls of the fruit and vegetable markets and taking the most postcard-worthy pictures imaginable. 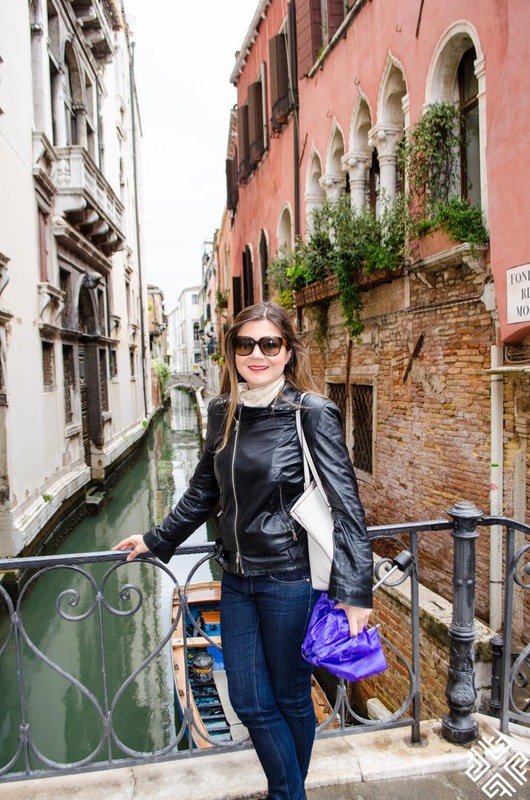 I got to walk above the bridge, which had shops dotting its right and left, and to me, that was the best way to explore Venice; in the heart of its canals, on top one of its arched bridges, surrounded by the most important attractions. The special appeal this bridge holds changes from day to night, and I advise you to visit twice – once in the morning and once by sunset where the levels of romanticism are almost unfathomable. 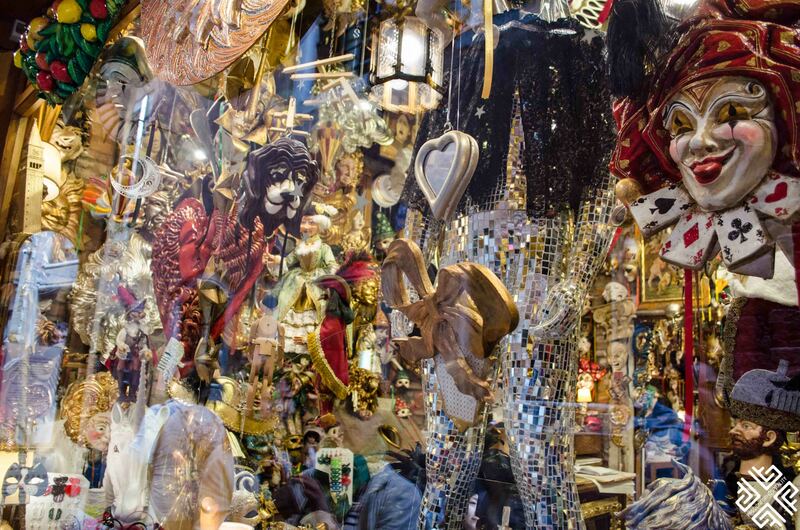 A lot of us like to collect souvenirs to help us reminiscing over the times we were traveling around, liberated by the feelings of wanderlust – but most of the time the souvenirs end being so generic and normal, but Venice is something else. 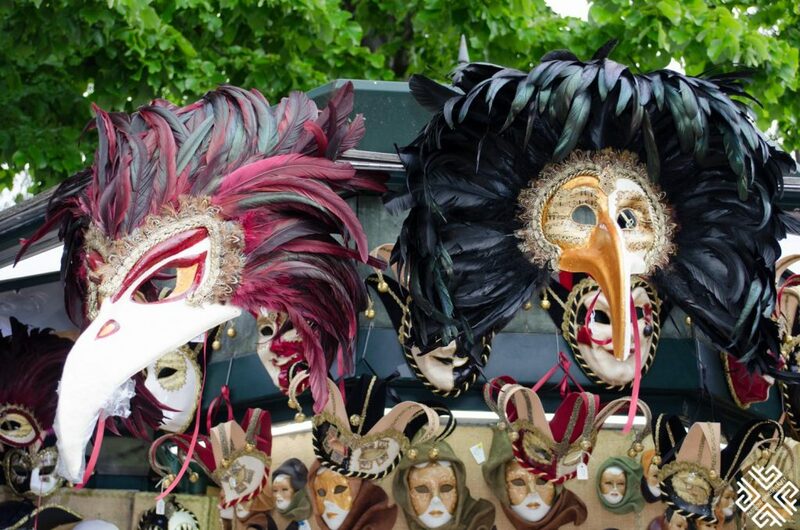 Venetian souvenirs are diverse, fun and exotic where you can collect Murano glass work, get handmade carnival masks (and rock them at the carnival if you can), buy wooden sculptures, paintings, prints and paper goods. There are hundreds of shopping opportunities and I suggest you browse a few shops before purchasing to get the best prices and the most unique souvenirs. 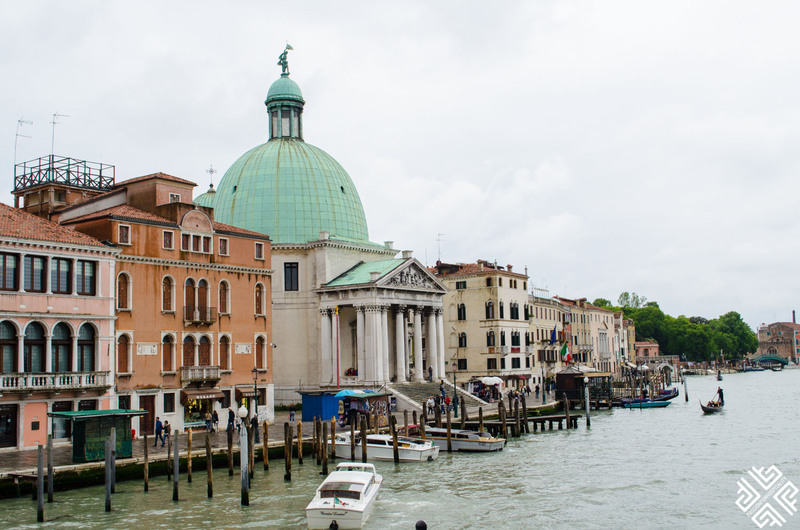 Honestly, what is Venice without its world-renowned canals? 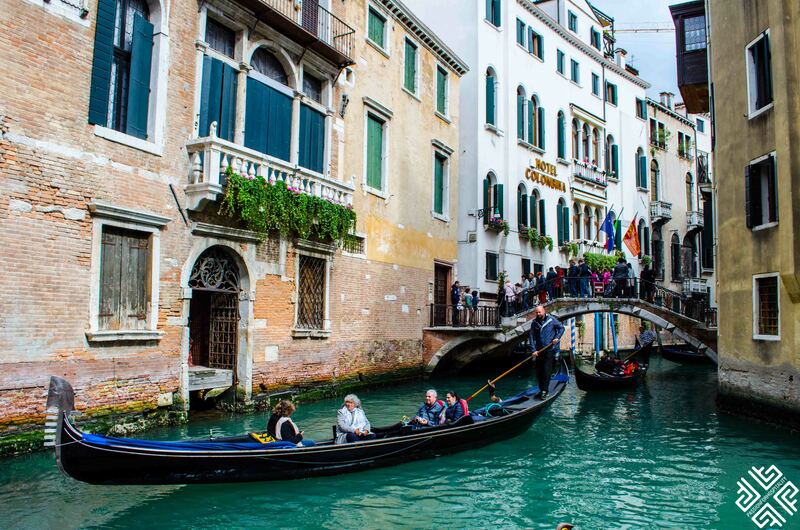 Years of artists, politicians, tourists, kings, warriors and much more have flocked to Venice to experience its canals throughout history. 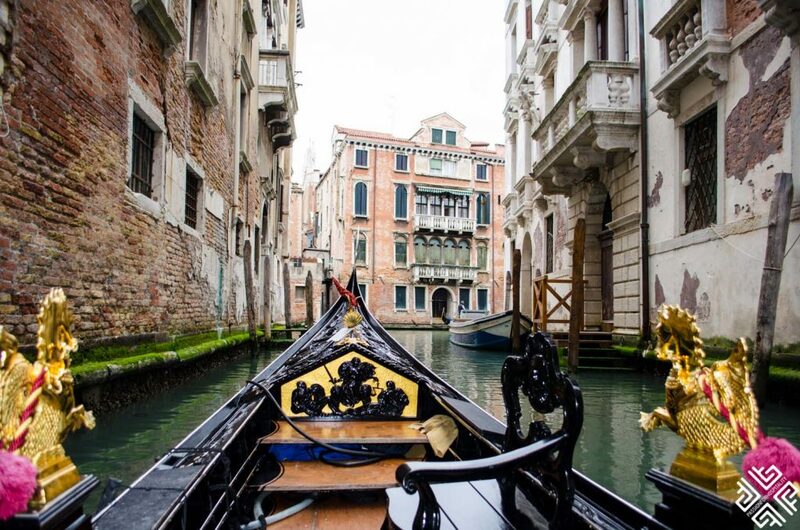 The canals breathe life into the city and it’s a must to experience them by riding a gondola. 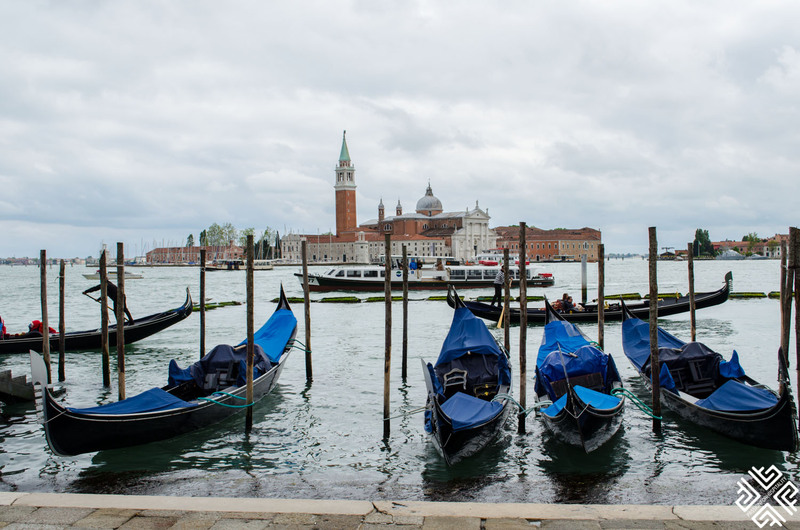 The gondola is an emblematic image of Venice, only upper-class families previously used it before the 16th century, but now you too can indulge in the history of the city by passing through it all while seamlessly floating on the waters of the canals. 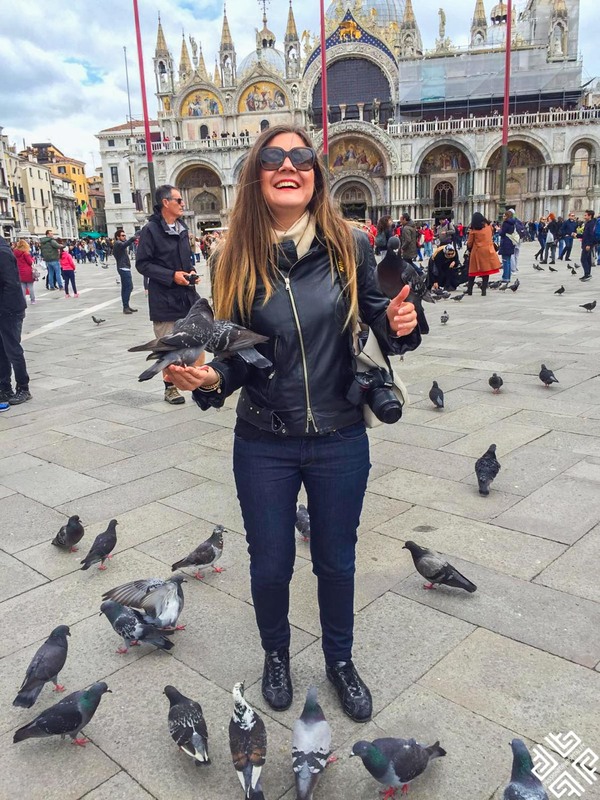 It’s the most authentic, raw and old-fashioned experience you can have in Venice and you’ll be able to let the facades take over you as the little rush of moving through narrow alleys and living like a true Venetian takes over you. After a hectic day of sight-seeing, I needed to wind down somewhere and what better way to do that than by doing it the Italian way? The Spanish have their siestas and their paella, but the Italians have their aperitivo and cicchetti which you’ll find at almost any bar. 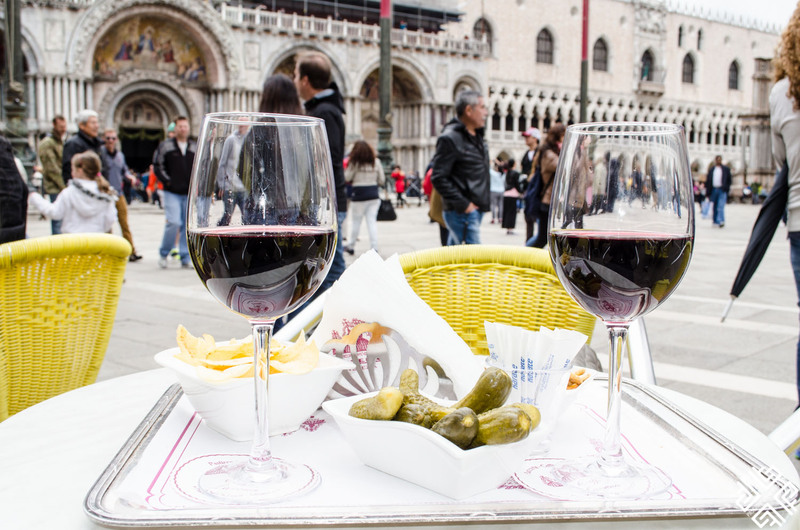 Most locals head to their favorite place, and get aperitvio and cicheti (good wine and tasty snacks), and you can even go on a bar crawl (giro di ombre) if you’re feeling adventurous. The free-flowing prosecco and the spritz were enough to wash away the fatigue of the day away.